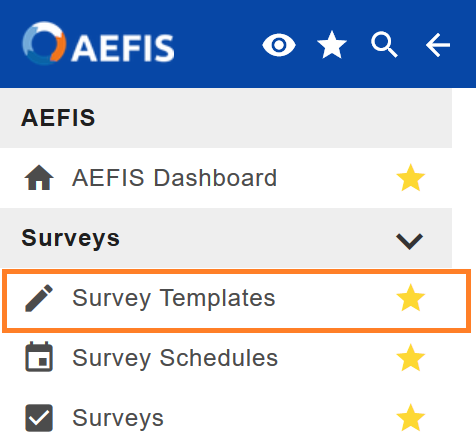 This document describes how to create and edit questions on an AEFIS survey template. You must be an AEFIS administrator in order to edit survey templates. You will be brought to the Survey Template Manager page. 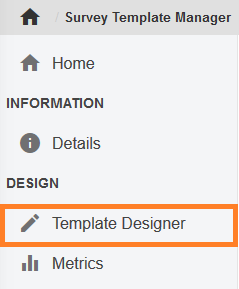 Select Template Designer from the left menu bar. Scroll over or select the three dot icon to expand the section menu. 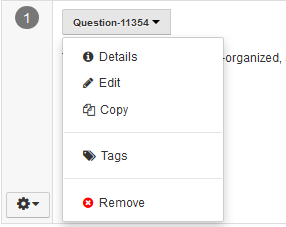 Select the + icon to create a new question. 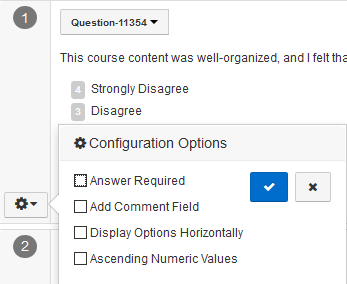 If you would like to use this question on future survey templates, click the checkbox to Save to Question Library. 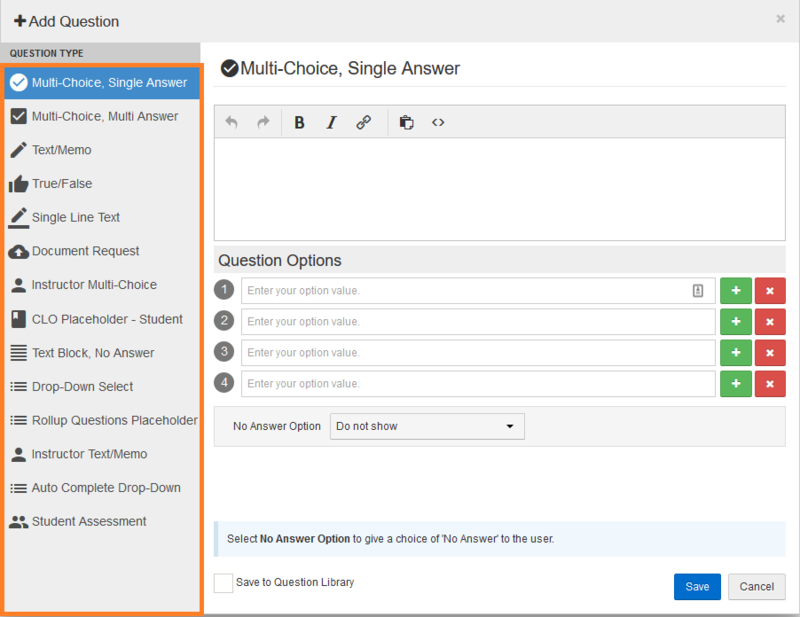 You will see a list of the questions you have created so far on the survey template designer editing page.